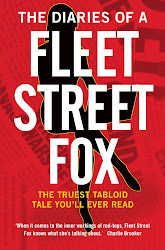 fleet street fox: Save us. No, not the airbrushing. The promise - that the greatest social benefit and political achievement of any British government for centuries would, at all costs, be protected. We had no money, the banks had taken the lot, things were going to be tough, belts needed to be tightened, cloth would be cut to suit and so on. A lot of gruel would be dished up for the masses in times of austerity, but the beloved, vital, life-saving and unbiased National Health Service would be sacrosanct. The Government said it would "stop the top-down reorganisations of the NHS that have got in the way of patient care", and did this by way of launching a top-down reorganisation of the NHS abolishing health authorities, primary care trusts and the NHS executive and making GPs, whether they like it or not, engage in 'increased competition' and buy in services from private providers. A document detailing the ways in which patients might suffer was produced, withheld, debated, vetoed and only finally published after being heavily edited as to what, exactly, the suffering might involve. In September the King's Fund revealed 'trolley waits' as they are known are 'an emerging upward trend' since the time of the 2010 General Election. Last month the Care Quality Commission revealed a third of patients it polled had spent more than four hours waiting to be treated in Accident & Emergency - the worst figure since 2004. Yesterday the medical director of the NHS admitted sight-saving cataract operations were being rationed across half the country. In the House of Commons less than 24 hours ago, health minister Dan Poulter - himself a part-time NHS doctor - was forced to apologise to his Labour oppo after he accused him of lies. Six thousand nurses have 'disappeared'. Waiting times for treatment have risen. There are 18,000 fewer administrative staff most of whom are not the reviled 'NHS managers' but consist of low-paid receptionists, record-keepers, porters and clerks. Seventeen hospitals are said to have unsafe staff levels and, entirely coincidentally, the whole organisation has been told to save £20billion by 2015. My local hospital is bankrupt, and another is facing the closure of good A&E and maternity units to pay the debt of its neighbour. So what are they doing about it? 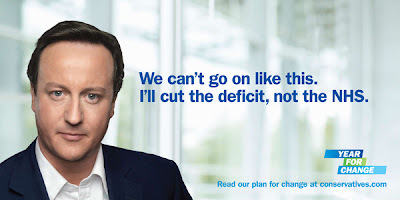 Today in the House of Commons the Prime Minister was told the NHS was "being taken back to the 1980s". He responded: "The NHS is improving every day under this government." At the same time the Health Secretary, a startled meerkat who goes by the name of Jeremy Hunt, has leaked details of a speech in which he says the NHS should be entirely paperless by 2018 to save £4.4billion. So that's every doctor and nurse filling in forms on an iPad rather than a bit of paper, in order to save money. That's every medical record of 66million people stored on a giant database which someone would have to invent, in order to save money. That's repeating, pretty much, the last failed attempt to digitise the NHS which took 10 years, cost £11.4bn, and ended up being scrapped because it didn't work and was a waste of cash, in order to save money. It doesn't matter what your politics are, or who you blame for the country's economic woes - we will all need the NHS at some point. Even the fabulously wealthy need it when they have car accidents or their helicopters crash, when their children crack their heads open or the nanny breaks a finger. Most of us need it now and again, when we're ill, or scared, or just a little bit worried. We need it when our parents need looking after, we need it to help us have our children, patch up our mistakes, and to hold our hands when the whole world comes tumbling down around us. My local, broken, indebted hospital has for me, in the past four years, dealt with two cancer scares, a skiing injury and an emergency admission. The National Health Service is not a luxury. It is not an indulgent bit of bubble bath, or organic beef burgers you spend more on in order to be sure they don't contain horse. It's like your backbone - a damn useful thing you'd be pretty stuck without. Backbones occasionally need surgery, but of a very delicate and careful kind because the slightest slip paralyses the patient for life. One moment of thoughtlessness and suddenly someone perfectly healthy is looking at sixty years of colostomy bags and widened doorways. Backbones are not something you tinker with. You especially don't tinker with them if you're an idiot, or even worse a large group of idiots. It's true of course that belts can be tightened a lot more if there is no backbone at all. But what you are left with is a strange, floppy thing which inevitably someone is going to suggest would be better off put out of its misery. And it's not as though we have too much good health and are using hospitals for frivolous things we can do without - cataracts might not kill, but losing your sight can. Which is a strange place to end up from having promised to protect the NHS at all costs only two years ago, and from people who probably, in all honesty, thought they were doing something helpful and had no intention of breaking the thing they were twiddling with. But twiddle they have. And break it, one day, they will, for the simple reason that the people concerned look upon the NHS as something which needs to be fixed rather than the thing which can fix them. They think 'saving' is the same as 'cutting', and it's not.